On Thursday night June 28, 2018 the California Highway Patrol pursued a driver in a grey Chrysler 300 from Victorville to Pasadena. Speeds reached 130 mph at times. At one point the suspect pulled over and let 2 passengers out of the vehicle before continuing to lead Officers on a high speed pursuit. 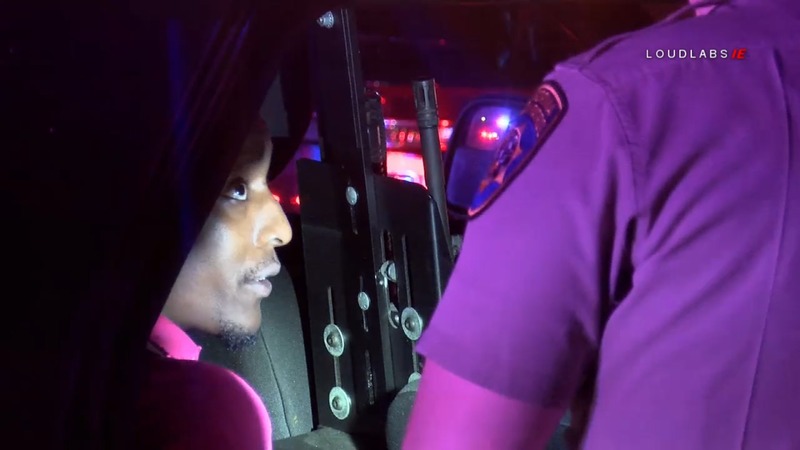 According to the California Highway Patrol, the pursuit started when Officers attempted to stop the vehicle for a moving violation in Victorville however, the driver failed to yield. One witness says she is grateful to be alive after the suspect flew past her at over 100 mph. The pursuit came to an end around 9:30pm on Fair Oaks Drive in the City of Pasadena when the driver and passenger surrendered to police without further incident. Money and alcohol were found in the vehicle. It’s unclear if the vehicle was stolen as the registration came back to a rental car.